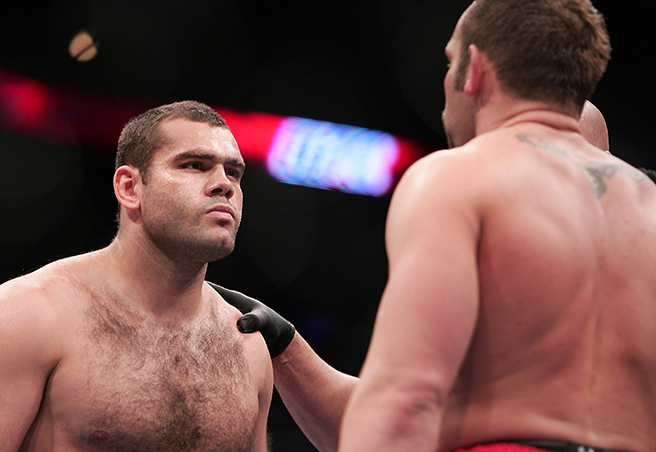 After his loss at UFC 121, Gabriel Gonzaga delivered the bad news on Twitter that he will no longer return to the octagon. Formar title contender Gabriel “Napao” Gonzaga is officially kicked out from UFC after his loss to Brendan Schaub at UFC 121. During his stint in the UFC, Gonzaga made the 7-5 overall and claimed his biggest mark when he knocked out former Pride open weight Grand Prix champion Mirko CroCop. After his victory over CroCop, Gonzaga faced Randy Couture in the octagon. Unfortunately, he lost by TKO. Since then, Gonzaga went uo and down on his fighting record. let’s see what the fututre old for this fighter.